Wedding crashers? 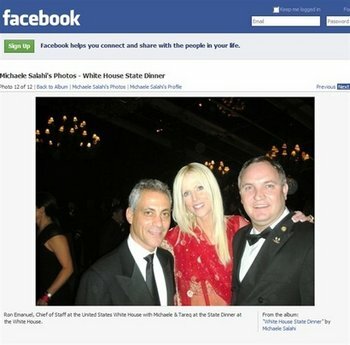 How about State Dinner crashers! Security details promises to do a better job next time! 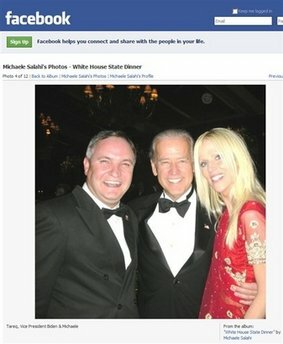 At least Biden got in a cheap squeeze on Michaele Salahi, Tareq Salahi's wife, who were the uninvited guests that crashed the party! Meanwhile, security is so tight in the NFL that they put out these three paragraphs because it looked like a ref high fived Vince Young after the Titans beat Houston! Maybe the NFL needs to lighten up, and the White House needs to tighten up! "It was not Jerome Boger's intent to exchange a high-five with the player. It began with the referee making the proper administrative signal and resulted in the appearance of an inappropriate action. 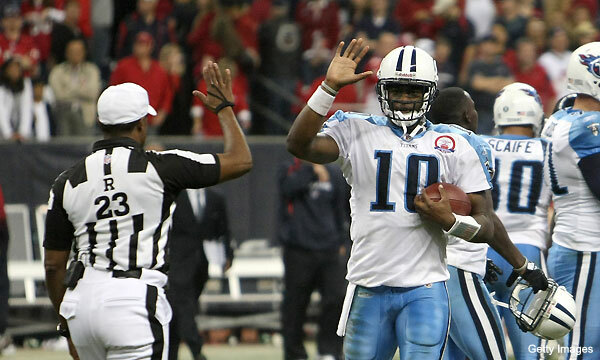 "As Vince Young took a knee on the game's final play, Jerome Boger jogged in with his right arm in the air to signify the play was over. That is the proper administrative signal for the referee. 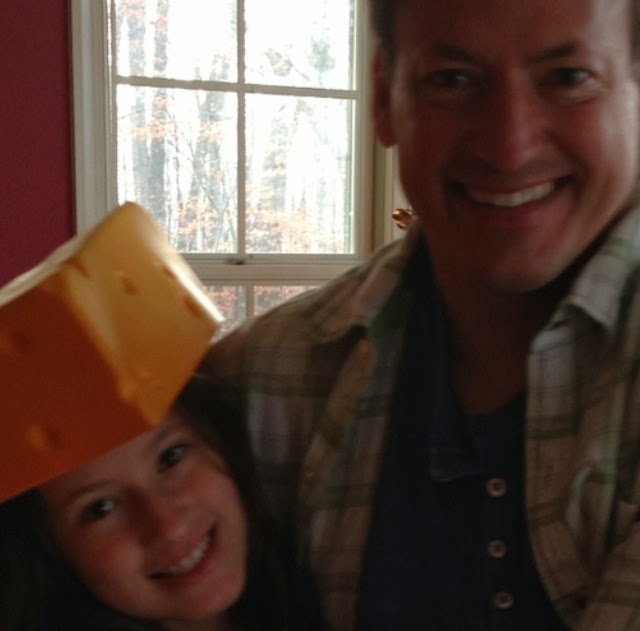 "As Young turned around, he saw Boger approaching the line of scrimmage with his arm raised. As Boger moved toward the line of scrimmage, he started to bring his arm down. However, before he lowered his arm, Young, moving towards the referee, raised his own arm and the two exchanged what appeared to be a quick high-five."